There is a higher chance of injury while doing the yoga poses, especially if you are one of those “high achievers” who tend to push themselves beyond the body’s comfort zone. If you participate in athletics or sports, there is high possibility of injury in sudden movements that involve the hamstrings. 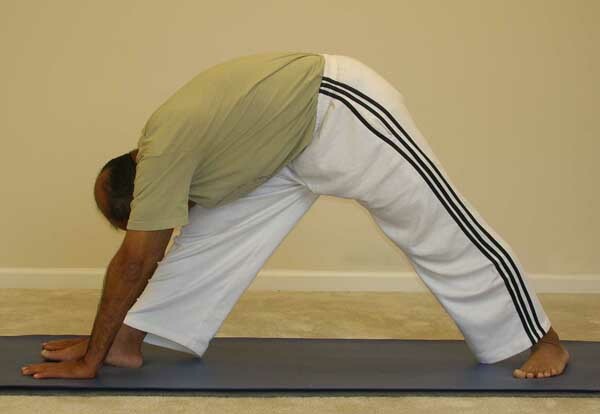 In many of the forward bending yoga poses, inflexible hamstrings usually translate into rounding of the spine which is not very healthy for the spine, especially when you are a beginner. You may be unable to attain proper alignment in some of the poses; for example, poses like the warrior pose, triangle pose, reverse triangle etc. When the hamstrings are tight, the back seems to do more work to maintain good alignment and deepen the stretch, which ultimately can lead to back pain. It may also negatively impact the health of the knees, especially the inner side of the knees, as the knees depend upon the strength and flexibility of the thighs for good support. Here are five excellent asanas that can help you loosen up your hamstrings. Practiced regularly, they will greatly enhance your ability to do many of the yoga asanas with ease and also give you a sense of joy and fulfillment in your yoga practice. As mentioned before, strong and flexible hamstrings usually translate into healthier back and the knees. 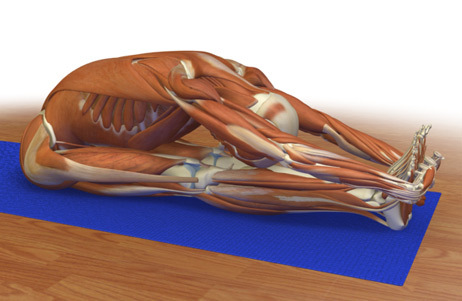 Janu-Shirshasana provides a gentle stretch for the hamstrings. In addition, it provides a deep stretch for the spine as well. If you feel back pain in the pose, you should step back and relax the pose. Alternately, you may like to use a strap to stay more aware of the spine and provide it some support while in the final pose. The seated forward bending pose is similar to the above pose and provides a gentle stretch for the hamstrings. In addition, it provides a deep stretch for the spine as well. If you feel back pain in the pose, you should step back and relax the pose. Alternately, you may like to use a strap to stay more aware of the spine and provide it some support while in the final pose. Since this pose is done from the reclining position, it does not involve any movement of the back and thus puts no strain on the back. To help the spine, make sure to keep the leg that is on the floor fully engaged by keeping it stretched and firmly on the floor. You can get into this pose from the Warrior 1 pose. Keeping the back heel firmly pressed against the floor, stretch the front leg also straight and start sliding the hands down the leg. This is an excellent standing pose for stretching the hamstring muscles. Perhaps one of the best poses for stretching the hamstrings is the Hanumanasana. This pose is named after the monkey-god Hanumana, one of the key characters in the epic story of Ramanaya. I would love to hear of your own experience with tightness in the hamstrings and how you have dealt with the situation. I have only given here some of the more commonly practiced asanas that will help with the hamstrings. 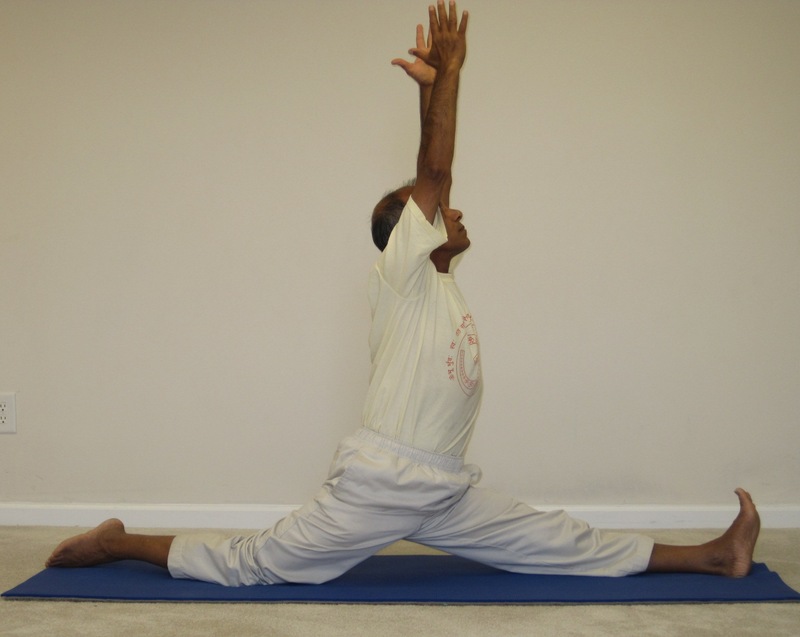 There are many other asanas that can provide a nice stretch for the hamstrings. Please share the poses that you are familiar with in this category.